The BJP will launch a State-wide agitation on Tuesday to protest the firing at the house of party activist at Padagaon in Bijepur. This was decided at an emergent meeting of the party chaired by party president Basanta Panda. Accusing ruling BJD of trying to instill fear in the minds of people in the constituency ahead of the byelection, the BJP said it will not be cowed down by violent activities spons o red by the St a t e Government. “As many as 14 BJP workers have been killed by the ruling party activists in the last three and half years and the Odisha Police have done nothing to arrest the criminals involved in those murder cases. The firing incident in Bijepur is a well thought out plan of BJD to silence BJP workers. The BJP will fight it out democratically by taking up the issue to the people,” State BJP general secretary Bhrugu Baxipatra told reporters after the meeting. National BJP general secretary Arun Singh, who is here on a twoday visit, said the Bijepur incident is the panic reaction of the ruling party which is fast losing it popularity. “Fearing defeat in the Bijepur bypoll which will be announced anytime soon, the BJD has resorted to violence. The ruling party had resorted to similar violent activities during the election to the three-tier panchayati raj election in the State last year,” Singh said on his arrival here. Baxipatra said attack on BJP leaders visiting Bargarh district has become a common feature. Union Ministers Santosh Gangwar and Niranjan Jyoti and former chief minister of Jharkhand Arjun Munda were attacked during their visit to Bargarh districts. The party has decided to take the issue to the people by staging demonstration in all the district headquarters of the State on Tuesday to protest Bijepur firing. A delegation of the BJP led by Panda also submitted a memorandum to Additional Chief Secretary Home Asit Tripathy demanding immediate arrest of the culprits involved in the firing and protection to Manoranjan Meher whose house was attacked. With Sambalpur seething in rage over the death of 16-year-old Shreyas Kesharwani allegedly due to ragging, Visakhapatnam police have already started an inquiry after their Sambalpur counterpart established contact with them. While parents of Shreyas have accused three students of ragging and charged the management of Sri Chaitanya Junior College at Marikavalasa with negligence, Pothina Mallayya (PM) Palem Police in Visakhapatnam said it would examine the video in which Shreyas had apparently named the students who had assaulted him. PM Palem Inspector K Lakshmana Murthy said Shreyas had informed Lakshmana Rao, vice-principal of Sri Chaitanya Junior College at Marikavalasa, about severe body pains after “slipping in the bathroom”. He was soon taken to a hospital and his parents were informed about the matter. “Odisha police say the parents of the student recorded a video before his death in which he has named the students who thrashed him. He has also blamed the management of negligence and said he had informed school authorities about his injuries,” Murthy explained. The inspector said the Vice-Principal ruled out the possibility of a fight between students and claimed Shreyas had approached him saying he had fallen down. Besides, all the three students against whom Shreyas had complained are on vacation, he said. “The video recording needs to be checked. Postmortem report will be crucial,” added Murthy. Sambalpur SP Sanjiv Arora said a police team from Sambalpur is on its way to hand over the case to its Visakhapatnam counterpart. He has also written to his counterpart on the matter.Shreyas was allegedly thrashed by a few students of the college. He left for home in Garposh of Odisha citing ill health on December 29, but succumbed to injuries at a hospital in Bhubaneswar on January 6. The boy’s death sparked protests in his hometown after his family held the college management responsible for his death as it could not prevent ragging. 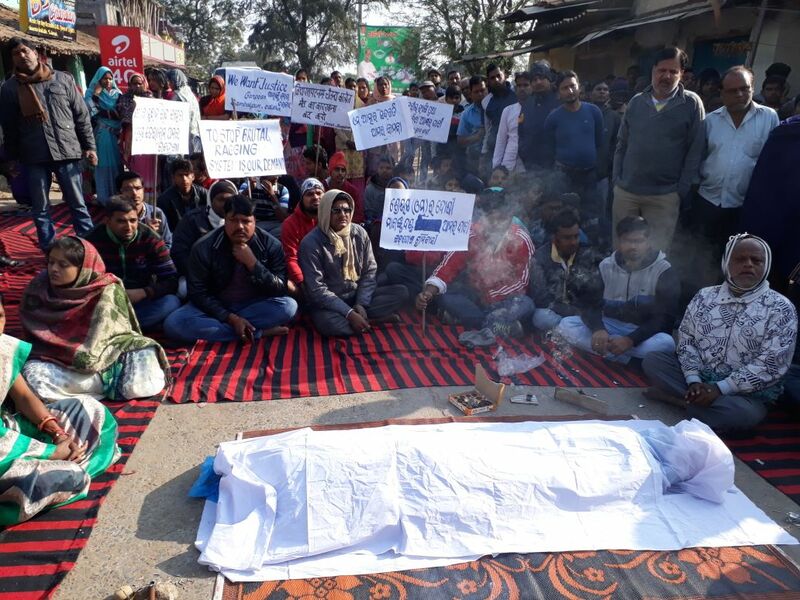 Irate locals blocked Bamra-Garposh road demanding action against the school management and the students who ragged the deceased. The demonstrators also staged a rail-roko at Garposh Railway Station to express their protest. On December 29, Shreyas’s father Shailesh Kesharwani moved him to Odisha after a medical check-up. A few days later, the 16-year-old complained of severe pain in his chest and limbs. He was rushed to Ispat General Hospital in Rourkela and shifted to a private hospital in Bhubaneswar on January 5 after his condition deteriorated. However, he succumbed while undergoing treatment in the hospital on Saturday. In-charge Sub-Divisional Police Officer of Kuchinda in Sambalpur Amitav Panda said the victim’s family had registered a complaint with the police against three students of the school.